The toughest part of choosing a roofing contractor is knowing who to trust. As talked about in our previous post How to Find a Trusted Roofing Company there are important steps you can take to make sure you are finding the proper roofing contractor for your project. But, what types of affiliations does a company have and how do each of those establish that this roofing contractor is the one to work with? The Better Business Bureau is an establishment that holds businesses accountable for their practices in the marketplace and give a rating associated with the overall ethics and satisfaction that a roofing contractor is conducting business. Companies can elect to become an Accredited member by paying membership dues and agreeing to abide by the BBB Code of Conduct. Roofing contractors can be manufacturer certified for different brands of shingles on the market. They must abide by manufacturer specification for installation, a code of conduct in business practices and have an outstanding track record of quality work to become certified. With being certified, the roofing contractor is being backed by the actual manufacturer of the product they install, which is a BIG deal. Most of these certifications by manufacturers also enables the contractor to provide much better warranty coverage than that of a typical contractor who is not certified. 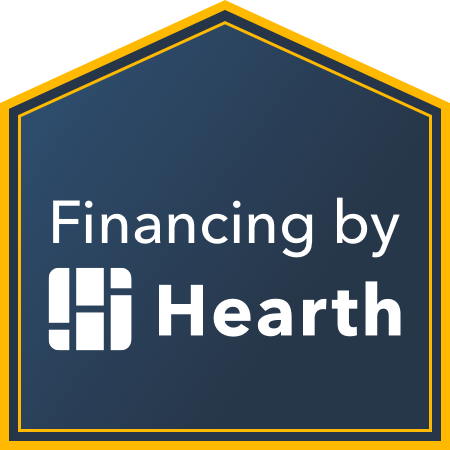 This is a HUGE plus because these stronger warranties could save the homeowner thousands in the future for a low cost up front. Houzz is a social media type home style and decor site which allows contractors and other home products or designers to showcase their work and interact with potential clients. It allows residential consumers to look at photos and styles and add them to a portfolio to save and plan for their upcoming project or redesign. Houzz is very unique in the fact that is allows consumers to interact with professionals and ask questions about the showcased work. Companies who are awarded service awards by Houzz are chose because of their highly positive reviews and past interactions with clients which is another good insight into how a roofing contractor serves their clients. Angie’s List requires roofing contractors to have at least one review from a current Angie’s List subscriber before they can be a service providing member. The site relies on actual reviews from REAL clients to judge on the overall experience and performance of work provided by the contractor. So not only do companies need to abide by a code of ethics, they really do need to satisfy their clients to be listed as a top provider. If a company receives an Angie’s list award or even is a service providing member you can know that this company is vetted, tried and tested. Trade associations are a great indication of a companies trustworthiness and it shows insight into their culture as well. If a roofing contractor or other type of contractor is an active member in a local association it can be a good indication of their care for their local community and how they uphold strong ethics in how they do business. Most associations have strong missions that will incorporate an ethical standard of it’s members and seek to improve the community in which they serve. The local chamber of commerce is another affiliation that a reputable roofing contractor might have. Like trade associations, your local chamber of commerce with have business standards that it upholds for it’s members. It also is another way to see the insight of the culture of the roofing contractor you are looking to do business with and their care for the community in which they serve. Online reviews can be found in many local listing spots such as Google, Houzz, Angie’s List, Yelp, BBB etc.. These will give you as a consumer a full overview of what type of quality experience and craftsmanship they provide to real local clients that have had experience. The value of online reviews for potential consumers and roofing contractors alike is immeasurable. Because not only can you get a full view of the company but, contractors can find out how they can serve their clients better. Another indication of the companies integrity is how they address and respond to bad reviews. We here at Northface Construction believe that as a consumer you are best served by us through providing relevant and valuable information that can provide you with the tools to make an informed decision. your home is your biggest asset and that is why we promise to Educate, Consult and Deliver on the services we provide so you are satisfied with your experience to the fullest extent possible. If you would like to talk more about your upcoming exterior renovation project please give us a call at 763-433-2269 and we would be happy to provide you with a free estimate and consultation.